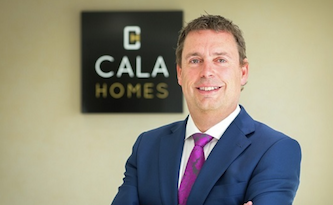 Edinburgh-based upmarket home builder Cala Homes said on Monday that its CEO Alan Brown is to retire. Last month, Legal & General Group announced that its Legal & General Capital division acquired the 52.1% of Cala Homes which it did not previously own. “Alan has been instrumental in driving the growth of the group, having been in a number of senior management and strategic roles over the last 32 years,” said Cala. A search for a new chief executive has begun. Brown will remain CEO until the end of April, when Graham Reid, group finance director, will assume the position of interim CEO. Legal & General Capital CEO Kerrigan Procter said: “Cala has benefited greatly from Alan’s leadership over the last nine years as chief executive and we shall miss him. Brown said: “This was not an easy decision. I’ve spent nearly my entire career at Cala, working with a talented group of people to build the great business that it is today.